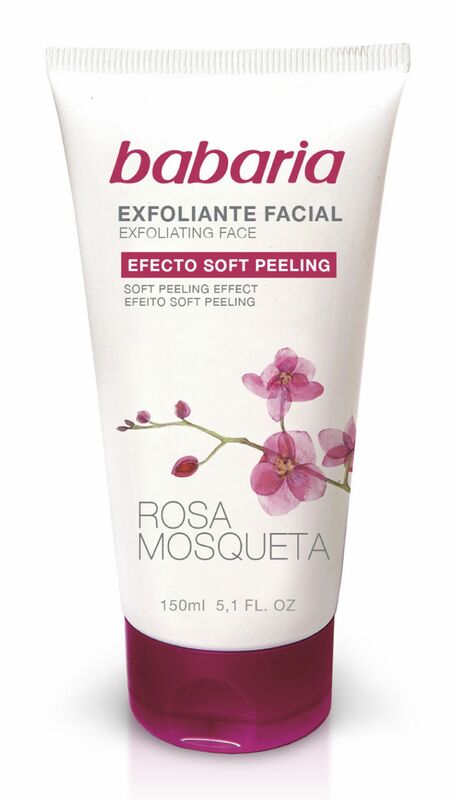 Babaria takes gentle facial exfoliating to a whole new level, with this formula of Rosehip Oil fine skin-refining particles. This Rosehip Oil Facial Scrub gently buffs away dry, dulling surface cells without disturbing skin's natural PH balance, and helps improve natural cell turnover for skin that looks absolutely radiant. Aqua, Paraffinum Liquidum, Oxidized Polyethylene, Cetyl Alcohol, Stearyl Alcohol, Isopropyl Myristate, Rosa Moschata Seed Oil (3% Aceite Rosehip Oil), Ceteth-24, Phenoxyethanol, Methylparaben, Ethylparaben, Dimethicone, Mycrocristalline Wax, Parfum, EDTA Tetrasodium, BHT, Ascorbyl Palmitate, Tocopheryl Acetate, 2-Bromo-2-Nitropropane-1, 3 Diol, Citric Acid.